As if Google didn’t already offer enough communication apps, it’s just rolled out a new one that you might soon use at work. Meet by Google Hangouts lets G Suite users set up and join HD video meetings. It currently has a Web app and an iOS version, but there’s nothing for Android or even a product description page as yet. Google appears to be keeping this on the down-low for the time being. As TechCrunch noted, the desktop version lets you join a meeting by entering a code and shows you scheduled meetings; you can’t yet start a new conference from the site. However, the iOS app’s listing mentions features like dial-in numbers for people who can’t access the video stream, as well as integration with Gmail and Google Calendar. 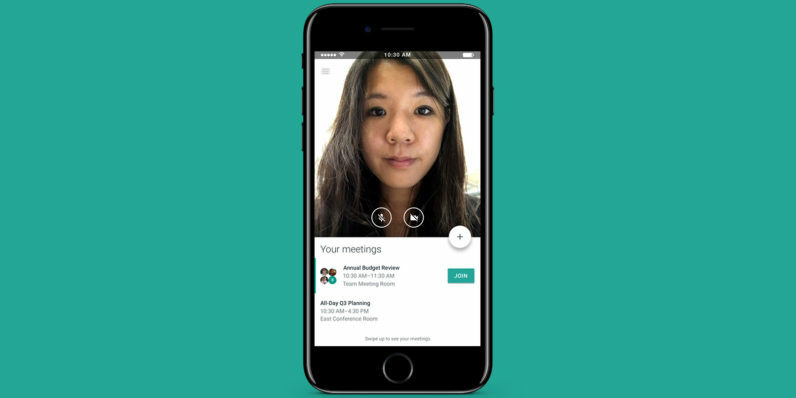 The timing of Google’s launch of Meet for users of its productivity suite is interesting, given that just two weeks ago, Amazon unveiled its Chime app for video conferencing. At this point, it’s hard to say if Google’s new offering can hold its own against competition from the like of Microsoft’s Skype and GoToMeeting; however, deep integration with the company’s popular suite of productivity tools – which might also mean that its cost is included in G Suite’s subscription fee – might make it a good choice for the 3 million companies that are already invested in the search giant’s set of apps.